I LOVE the way my first card turned out! This is one of those rare times when the card turns out just the way I planned it in my head. 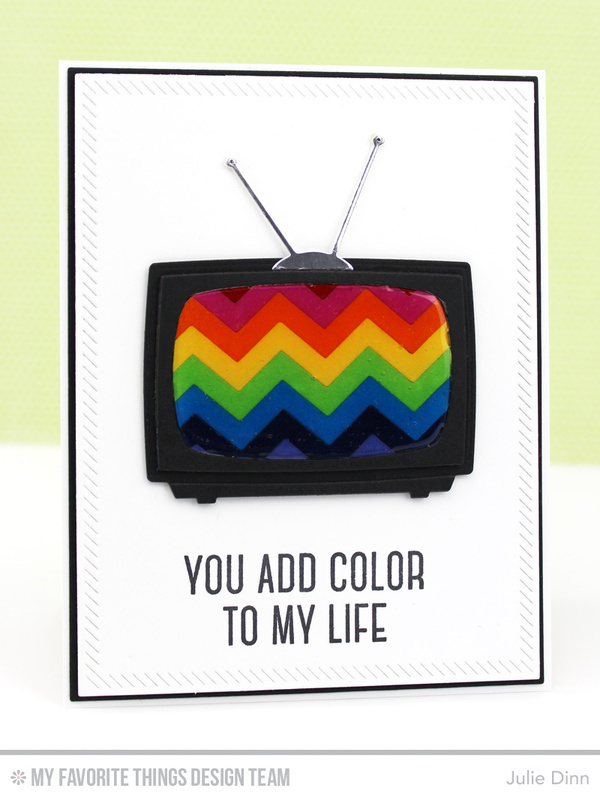 I used the fabulous new Television Die-namics and paired it with the Chevron Stripes Die-namics. 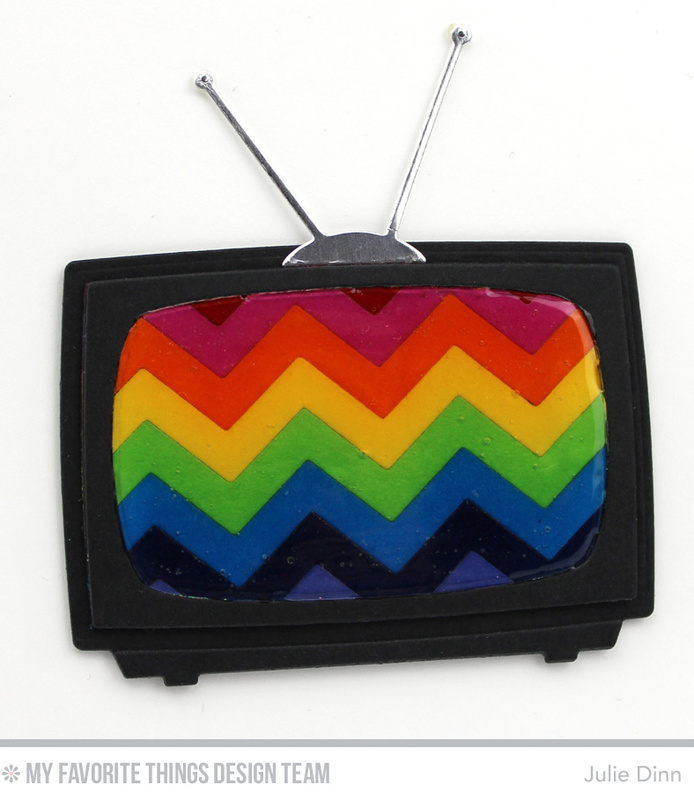 Once the chevrons were all in place inside the television, I covered the screen with a couple of layers of Glossy Accents. 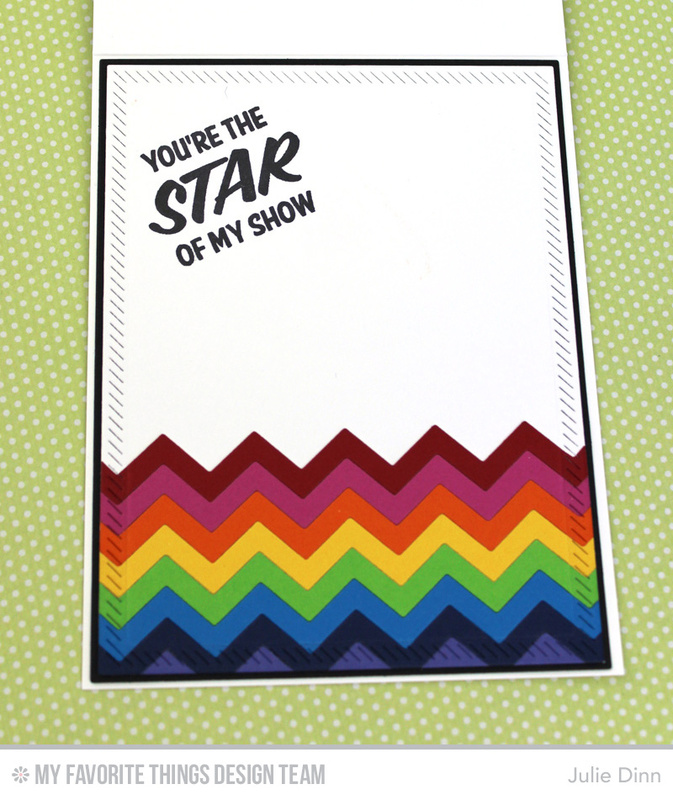 On the inside of the card, I stamped a sentiment from the Stay Tuned stamp set and I added a few extra chevrons. One of my favourite new stamp sets from this release is Lisa Johnson's Circle Scribble Flowers. 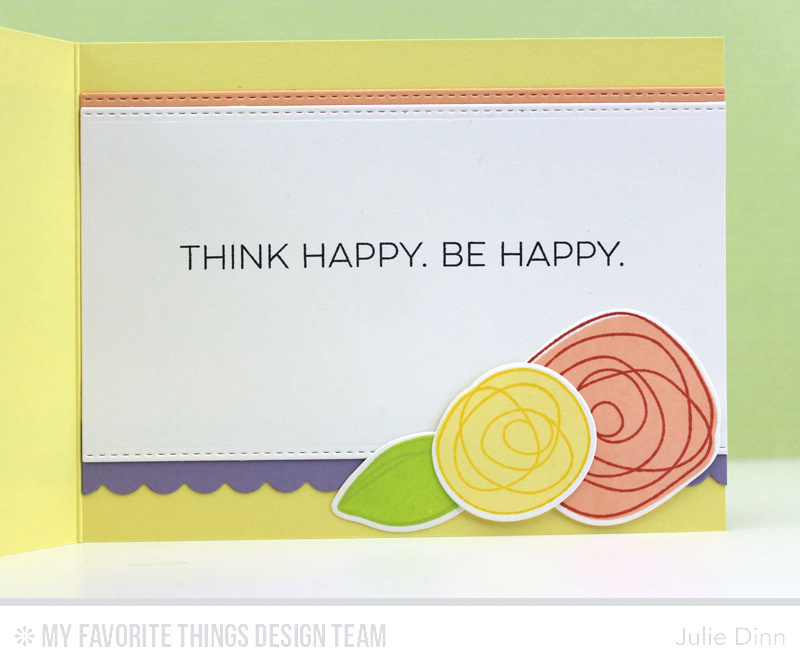 For this card, I paired the stamp set with the Blueprints 23 Die-namics and a few gorgeous spring colors. On the inside of the card, I stamped a sentiment from the Totally Happy stamp set. I also added a few more Circle Scribble Flowers. These flowers were stamped and then die-cut with the Circle Scribble Flowers Die-namics. Great cards and colors! I love it when a card turns out like I had in my head....which is a rare occasion LOL! Scribble Flower set is growing on me....love seeing what everyone has done with it! Both are great...love the tv one!!! I love the pretty colors you used. Both cards are beautiful!! Gorgeous cards! So bright and fun!!! Love these! 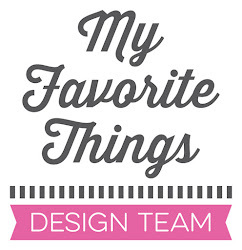 I really like the tv die and how you and the other design team members have showcased it! Your cards are great. I love how you used glossy Accents on the TV screen. Good thinking! The TV card is so cool!